Columbia University Press, 9780231165952, 336pp. Born Translated builds a much-needed framework for understanding translation's effect on fictional works, as well as digital art, avant-garde magazines, literary anthologies, and visual media. Artists and novelists discussed include J. M. Coetzee, Junot D az, Jonathan Safran Foer, Mohsin Hamid, Kazuo Ishiguro, Jamaica Kincaid, Ben Lerner, China Mi ville, David Mitchell, Walter Mosley, Caryl Phillips, Adam Thirlwell, Amy Waldman, and Young-hae Chang Heavy Industries. The book understands that contemporary literature begins at once in many places, engaging in a new type of social embeddedness and political solidarity. It recasts literary history as a series of convergences and departures and, by elevating the status of "born-translated" works, redefines common conceptions of author, reader, and nation. 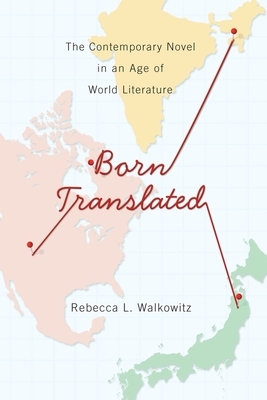 Rebecca L. Walkowitz is professor and director of graduate studies in English and affiliate faculty in comparative literature at Rutgers University. She is the author of Cosmopolitan Style: Modernism Beyond the Nation (Columbia, 2006), and she has edited or coedited several books, including A New Vocabulary for Global Modernism (Columbia, 2016, with Eric Hayot). She is past president of the Modernist Studies Association.